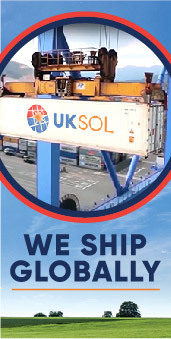 UKSOL is the British solar energy specialist. We bring sincerity, passion and commitment to delivering affordable, high quality solar panel technology worldwide. UKSOL is the British solar energy specialist with global reach and visionary ambition, delivering high quality, affordable solar technology supported by a secure 30 year warranty. Incorporated in 2015 by our president and founder, Andrew Moore, UKSOL is rapidly becoming a distinguished international presence owing to Andrew's many years of comprehensive experience in the solar PV industry, as well as the honesty and passion that he's instilled in our company from the moment of its inception. UKSOL believes that these principles matter. The global market for solar equipment and installation is in its relative infancy, and is too often characterised by opportunists with little sense of fidelity to the clients they serve. 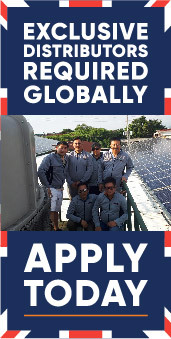 Against this backdrop, UKSOL recognises the importance of bringing the sincerity, adaptability and commitment often associated with British business practices to solar panel projects around the world. It's this quintessentially British approach that allows us to do things differently and support our clients with the first class care they need and, increasingly, expect. Every contract is an opportunity to demonstrate our sincerity and to earn our clients' loyalty in return. Every project and every challenge gives us the chance to prove our flexibility and passion. And of course, every relationship is viewed as a potential long term partnership, with the exclusivity that implies. These successful and mutually rewarding partnerships have led us to develop a growing network of exclusive solar technology resellers worldwide, with UKSOL serving as its UK-based hub. At UKSOL we envision our future at the heart of global developing markets, leading Britain and the world in delivering safe, low cost solar energy and laying the foundations for economic freedom and prosperity in the 21st century. Solar panels must work efficiently for many years, often in difficult climatic conditions. At UKSOL we believe that customers should be supported through the 30 year lifespan of the panel. We want our customers to benefit fully from their solar panel installation and to ensure that they maximize the return on their investment. The company is focused on producing high-quality mono-crystalline and poly-crystalline solar modules for distribution to global markets. UKSOL panels include the latest solar technology and innovation in module production which ensures our panels are competitively priced. UKSOL panels are highly efficient and built to withstand the extremes of our varied global climate. Please come and join UKSOL if you wish to be one of our locally exclusive solar installers, sales agents, wholesalers or distributors. You will find us refreshingly different because we care the same for all our customers whether they are large or small. 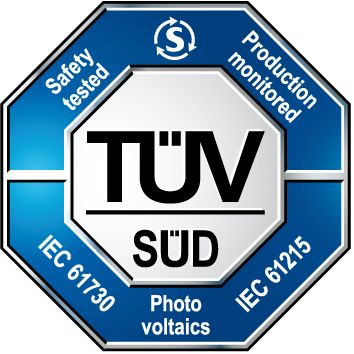 UKSOL is a British company with a British warranty. Contact us today about becoming our local partner. UKSOL is the British solar energy specialist that produces and delivers affordable, high quality solar technology through our network of installation and distribution partners worldwide, supported by our secure 30 year UK warranty. 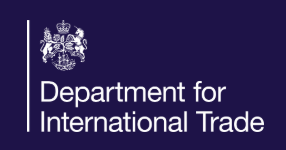 UKSOL envisions its future at the heart of global developing markets, leading Britain and the world in delivering safe, low cost solar energy and laying the foundations for economic freedom and prosperity in the 21st century. Honesty and sincerity are by no means exclusively British qualities, but we believe they're fundamental to the British way of conducting business that UKSOL embodies. We're positive that establishing our loyalty to our clients through sincere commitments like our secure 30 year warranty is the best way to inspire their loyalty to UKSOL. We're passionate about producing and delivering affordable, high quality solar technology; not just because we care about the difference it makes for our clients, but also because of the potential that solar energy has to be a force for energy independence, prosperity and change in the developing markets that we serve. We believe that every contract should be viewed as the start of a relationship and not just as a business transaction. 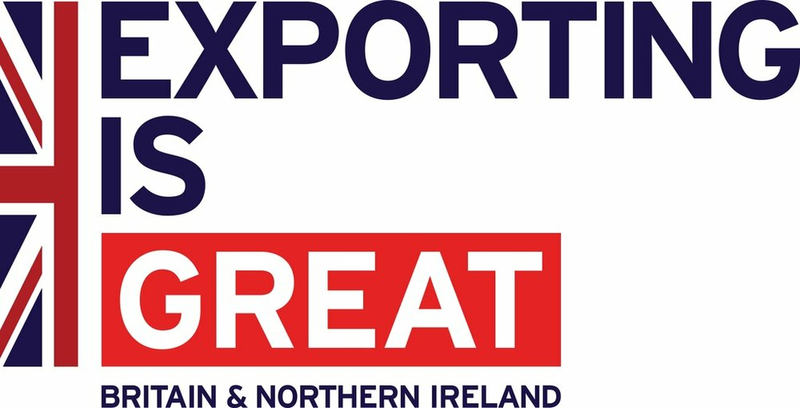 Our exclusivity scheme is just one example of UKSOL's commitment to true long term partnership, as well as to the first class customer care that our partners expect. Prices that track the global market panel rates. Strong UK brand at competitive prices. We can offer you local exclusivity. Exclusivity can give you a competitive edge against the competition. Longest warranties on the market. Strong one to one account management. We can be confident of offering long term support. We want to build business together – we are interested in. Working in proper partnership to grow your business. In a volatile PV market, we offer stability and reduced risk. Give us a call on +44 1753 910 327, contact us on WhatsApp via +44 7949 48 99 11 or use our contact form if you would like to join us as a reseller, distributor or agent. Thank you for subscribing to the UKSOL newsletter.